Finding wilderness may mean a water taxi. 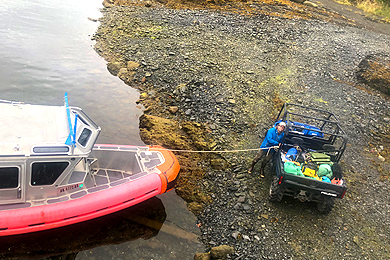 We provide kayak transports in and around the southern southeast portion of the Tongass National Forest. Vessels used by Southeast Exposure are welded aluminum outboard drive landing craft. 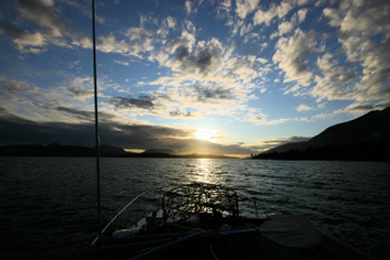 Popular water taxi destinations include Misty Fiords National Monument, Clover Pass, and Northwest Behm Canal. To utilize our water taxi the kayaks must be rented from Southeast Exposure. Call (907) 225-8829 for rates and to discuss your needs. Southeast Alaska's Inside Passage covers a lot of water. We have twenty six years of local paddling experience and can assist you with trip planning from overnight destinations to longer drops that would require more time and planning. Overnight camping trips with one-day paddles back to Southeast Exposure's Outdoor Adventure Center include Betton Island and Naha Bay. 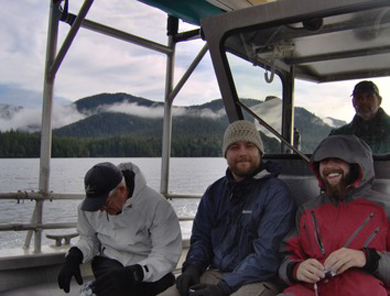 Longer Trips take you farther into the Tongass National Forest, and Misty Fiords National Monument. 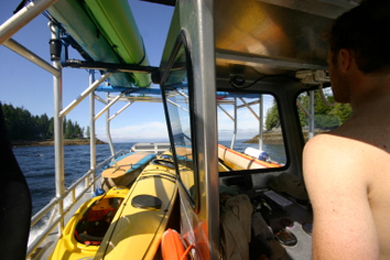 While you are enroute, ask about campsite location and local currents. 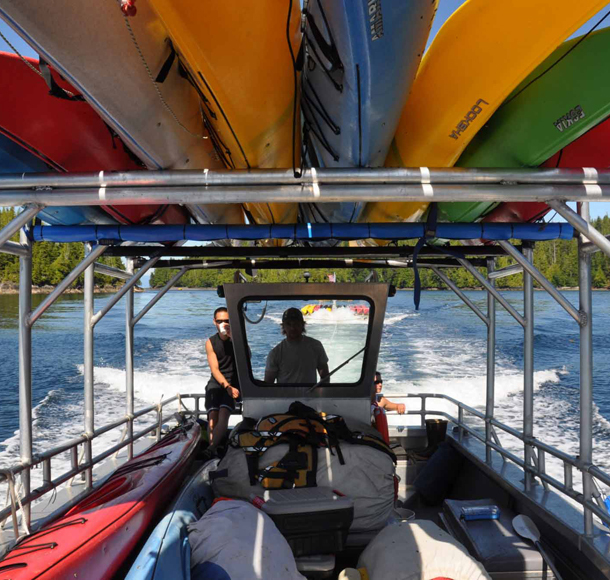 We drop prepared kayak parties off in remote locations from May to September. OTC Web Design, Girdwood, Alaska.